StocktonCon’s official hotel is the University Plaza Waterfront Hotel. 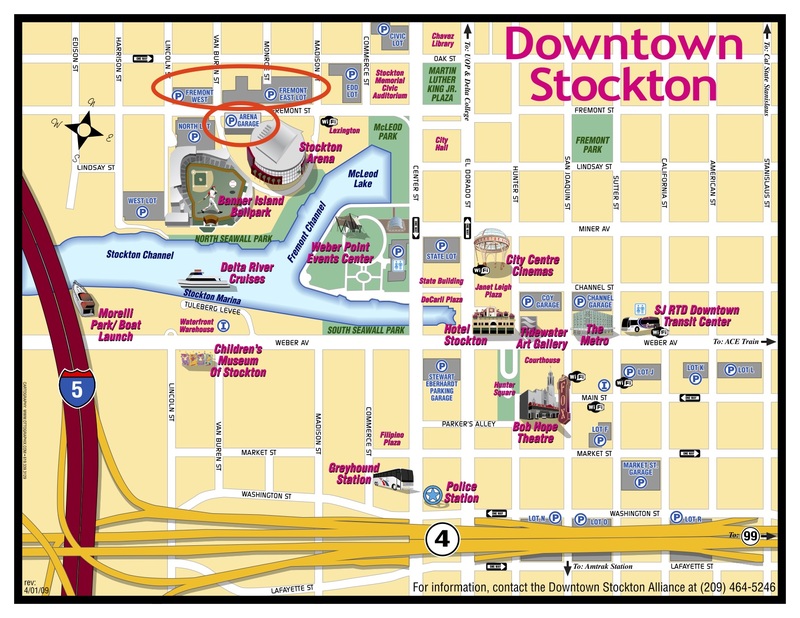 It is located right next to Stockton Arena, within 100 yards of the main entrance to StocktonCon. There are many places to park near the arena, but the best places are the east and west Fremont lots on Fremont Street and the Stockton Arena Garage. All three have a $10 flat rate. See the map below to see where they are in relation to the arena.